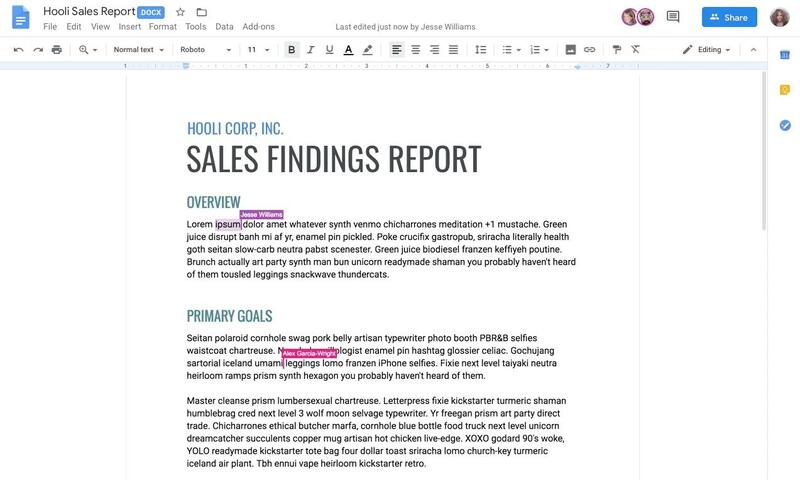 That's about to change: Google just announced that it's adding native support for Microsoft's Word, Excel, and PowerPoint formats - like.docx, .xls, and.ppt - which will let you do real-time collaboration in Google Docs, Sheets, and Slides. The third change rolling out immediately for G Suite for Education customers is the ability to add audio files directly to a slideshow from Google Drive, making it easier for educators to prepare presentations in advance. First, there's Visitor Sharing, allowing external users to collaborate on G Suite documents even if they don't have an account. Earlier, you either had to convert Office files to formats supported by Google Docs, or use Office Compatibility Mode (OCM) with limited functionality. In the "next few months", customers will be able to collaborate on "up to 10 billion rows of BigQuery data" without the need of an SQL. Whether Google likes it or not, Microsoft's Office is the most popular and widely used productivity suite. That means a Word document can be opened in Google Docs without concern for formatting problems and other issues while giving users G Suite specific features. However, the company later confirmed this will work for all users.